One of six locomotives designed to honor the people and railroads that built UP. 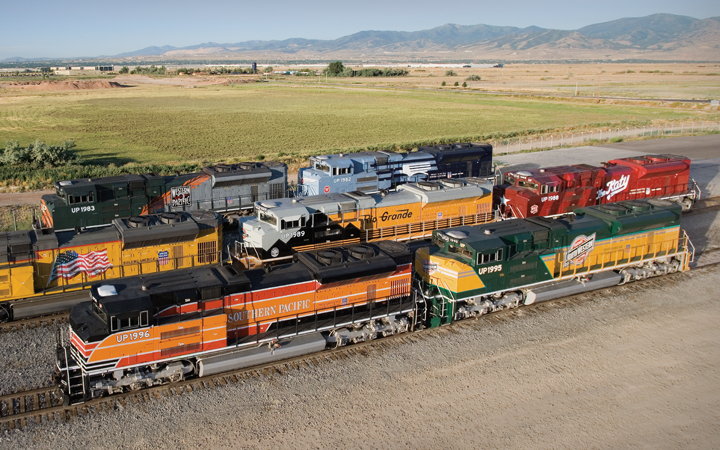 The Union Pacific Heritage Locomotives. This series of locomotives honors the people and the railroads that have made Union Pacific what it is today. Union Pacific wanted a way to reach out to their employees that had joined Union Pacific from mergers with other railroads over the years. We created a commemorative set of locomotives in a new design that would honor the past and celebrate the future with Union Pacific. Each locomotive features a unique paint scheme, incorporating elements of one of the six major railroads. 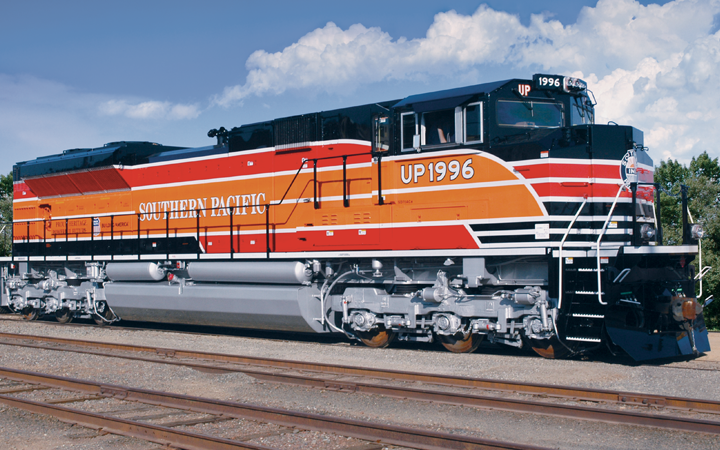 Inspired by the Southern Pacific railroad’s famous “Daylight” train, Wheelhouse founder, Cathy Solarana, designed the paint scheme and graphics for the Southern Pacific Locomotive.